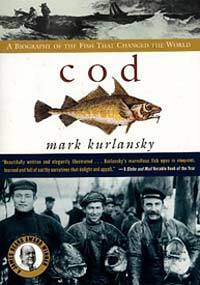 The subtitle of Mark Kurlansky’s Cod, “A Biography of the Fish That Changed the World” offers a clue to the scope of the story readers have in store for them. Opening on the headlands of Newfoundland, Cod spans a thousand years and four continents. From the Vikings to today’s current sad state of affairs, Mark Kurlansky introduces the explorers, merchants, writers, chefs, and of course the fishermen, whose lives have interwoven with this prolific fish. Kurlansky spins a good yarn, and the tale is made all the better with the charming accompanying illustrations, bits of folklore, and six centuries of Cod recipes. Who would have thought such a common fish would have such an uncommon influence in shaping history? A fascinating read—highly recommended. Cheers, Michelle. Too pretentious for my tastes… Cheers, Michelle.